The Trump administration says it wants to keep new cars affordable, but tariffs threaten to raise the cost of a new vehicle by thousands of dollars. Every car sold in the United States, including those built at US factories, have many of their parts imported from foreign suppliers. If new cars get more expensive, people will be less likely to buy them. That's not only bad for car buyers, automakers and autoworkers, it can cost lives -- newer cars have safety features missing from older cars. Who says keeping the price of new cars in check can save lives? The Trump administration. When it announced a rollback of fuel economy standards Thursday, one of its arguments was that the tougher emissions rules would raise the cost of owning a new car by an average of $2,340. It said that would discourage people from buying safer cars, resulting in about 1,000 additional deaths a year. But the potential savings from abandoning the Obama-era fuel efficiency rules won't cover the cost of the Trump administration's proposed auto tariffs. A study this week by Experian said that a 25% tariff on imported cars and parts will raise the price of the 20 best-selling vehicles in the United States an average of $3,300 to $5,100, even though most of those vehicles are assembled at US factories. Whether or not there will be tariffs, and their exact impact, is not certain because a decision has yet to be announced by the Commerce Department. President Trump met last month with European Commission President Jean-Claude Juncker, and the two sides agreed to hold off on new tariffs for now while they continue talks. But the Commerce Department said on Thursday it is moving forward with its investigation on whether to impose auto tariffs despite that agreement. It also not clear if the tariffs would apply to vehicles and parts from Canada and Mexico, which are now covered by NAFTA. But tariffs on steel and aluminum, already put in place by the Trump administration, do apply to Canada and Mexico. And the impact of those commodity tariffs on new car prices were not included in these latest cost estimates. 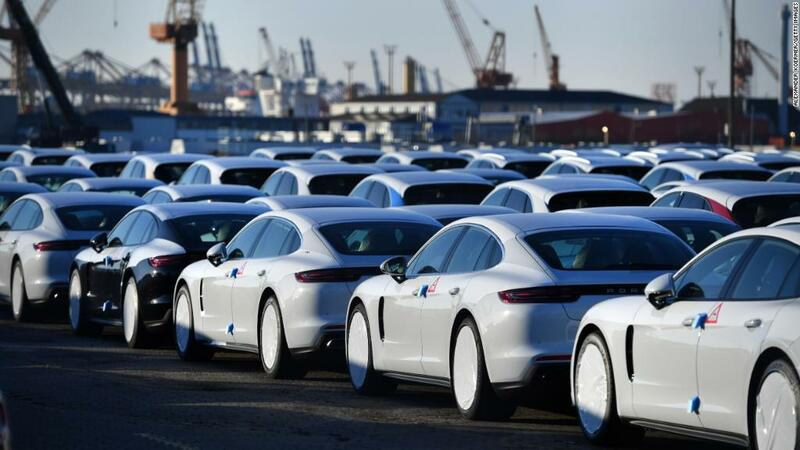 The automakers would not comment on Experian's estimates, but they have all warned of higher prices on even their US-built vehicles if the tariffs are imposed. For example, Toyota (TM) has warned that a Camry, the most popular sedan sold in America which is built in Georgetown, Kentucky, would cost $1,800 more to build, while the Tundra pickup built in San Antonio would cost $2,800 more. The Sienna minivan built in Princeton, Indiana would cost about an additional $3,000. General Motors (GM) has warned that tariffs would lead to higher prices for its cars, reduced sales and job cuts at US plants.